Now that the case of the organizer is assembled, the only thing left is to add the mail bins that fit between the sides and build the drawer. If you've ever had to dig through a stack of papers looking for a bill, then you'll appreciate the two mail bins, see Bin Exploded View. They're sized to hold both letters and magazines, see photo on page 31. Plus, they angle forward for easy access. BIN FRONTS. To build the mail bins, I started by making a couple VA'-thick bin fronts (G), see Bin Exploded View. These are 6" wide and cut to length to fit between the two sides. BIN BOTTOMS. Next, I added the bottoms (H). These are just strips of V&"-thick stock glued to the inside edge of the bin fronts. And to angle the bins, the back edges are beveled 20°. BIN SIDES. With the bottom pieces 'a' above, but if they're not, you can beveled, the only pieces left to add simply sand them until they are. Exploded View. These pieces are eas- are complete, and they can be ier to make than they look. Just lay out screwed to the back of the organizer. Bin sides and bottom are %" thick, bin front is VA" thick out with the band saw or sabre saw and sand them smooth, see Fig. 6. To glue the sides to the front and back pieces, just run a small bead of glue on the sides and press them into light clamping pressure across the sides will hold the bins in position while you drill the pilot holes and screw them in place, see Fig 7. All that's left now is to make the drawer, see Drawer Exploded View. You can make your drawer as simple or complicated as you like. I built mine with a locking rabbet joint and "dressed up" the front with a cove profile and a small wood knob. front (J). (If s the only 3/i"-thick piece EXPLODED on the project.) I sized my front to VIEW allow for a Vie" gap on the top and sides of the opening. DRAWER BOTTOM. When the drawer joinery is complete, there are still a couple things to do before you can glue the drawer together. First, a groove needs to be cut in each piece to hold a Vi" plywood bottom (M). 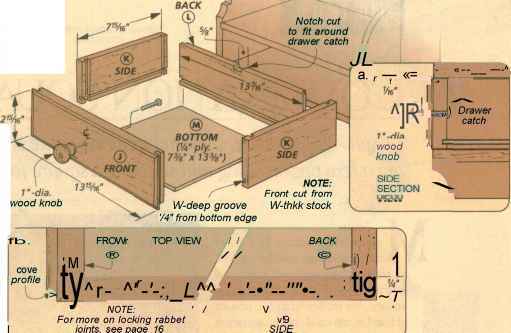 Also to allow the drawer to fit around the drawer catch (E), you'll need to cut a 5/8M-long notch in the back piece, see Exploded View. FRONT PROFILE. After the drawer was glued together, I routed a cove profile around its front face with a y4M-di core box bit, see Fig. 8. Rout the ends first so that when routing the sides you'll clean up any chipout. 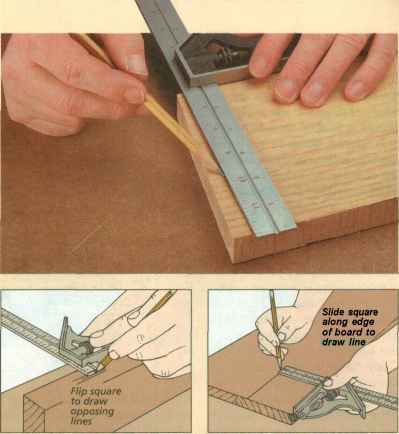 And use a miter gauge to support the drawer. The wide drawer on this organizer keeps everything you need for daily mail and messages close at hand. Despite its simplicity, the combination square is amazingly versatile. Here are a few tips on using and selecting a square for your shop. Invented in 1877, the combination square has remained virtually unchanged. ost tools that claim to do a dozen different things usually can't do any one of them very well. But that's not the case with a combination square. No matter what the project at hand is, my combination square is usually one of the first tools I reach for. As you might expect, I use mine for checking to see if edges are square. But if s also a great layout and marking tool. It can find the center of a workpiece, transfer dimensions, and check the depth of a mortise, often better than any other tool I own. Basically, a combination square consists of a "head" that slides along a rule or "blade." One face of the head is machined at 90° and the other at 45°. And the heads of most squares include a small level and a scriber pin. ADJUSTABILITY. But what makes the combination square so useful is that the head can be locked at any position along the blade, a feature that makes it infinitely adjustable. Simply turning a knurled knob draws a lock bolt down into a groove machined on one face of the blade, thereby locking the head in position, see drawing on opposite page. if you take a closer look, you'll see some differences. 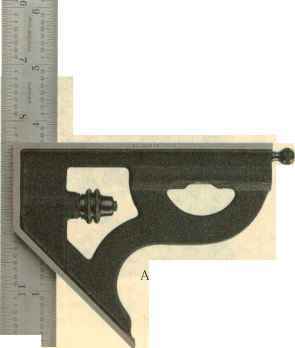 For years, I've used a 12" Starrett combination square. It has some features that I really like. The 12" blade has a satin-chrome finish that makes it easier to read and helps to prevent rust. And the lock bolt is spring-loaded so it holds the blade in place while I'm making slight adjustments. COST. Because I bought my square years ago, I was a little surprised to see how much a good combination square costs these days. A better- quality square (like a Starrett or Brown & Sharpe) will cost about $70. On the other hand, you can walk into just about any hardware store and buy a square for $10 or less. That's a pretty substantial difference. For starters, on many lower-priced squares, the slot that holds the blade is milled with aflat bottom. But Starrett squares are made with a small, raised rib on the bottom of the slot, see center photo on opposite page. This rib does two things. First, it raises the blade up so the sharp edges don't catch on the bottom ofthe slot And second, it provides an accurate surface for the blade to seat against when the lock bolt is tightened. Another major difference is in the blade, see right photo on opposite page. Each Starrett blade starts off as a thick, hardened blank which is ground and polished on both sides. The markings are carefully laid out by machine and then acid-etched into the blade. Finally, the ends and the edges of the blade are accurately ground to finished dimensions. In contrast, blades on less expensive squares are usually die-stamped out of softer, annealed steel. This means they're more likely to get bent or nicked. Finally, the biggest difference is in the accuracy. 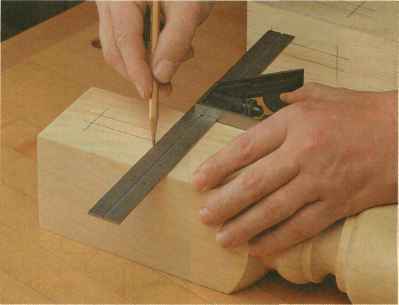 Starrett squares are hand-fitted and checked for squareness. According to Bob, a new 12" Starrett square is accurate to within .002" (that1 s about half the thickness of the page you're reading). Less expensive squares don't have the same tolerances. The real surprise came when I CARE AND USE. Unlike a fixed-blade try checked my old Starrett. After sev- square, a combination square has $68. 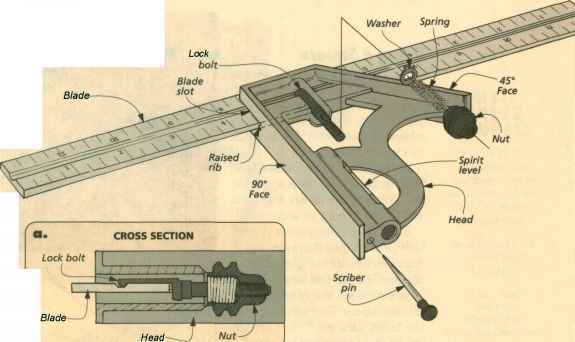 Next, I ordered a square from a eral years ofhard use, it was still more moving parts which are subject to woodworking catalog for $30. Even accurate that either of the new, less-though the finish on this square leftexpensive squares. a lot to be desired, it had a cast iron head and an engraved rule, like the Starrett. Finally, I purchased a square with a die-cast head and stamped rule at a hardware store for $10. With all these squares in hand, I paid a visit to a friend at a local manufacturing plant to test the squares for accuracy. And just for good measure, I brought along my old Starrett square to have it checked out as well. As you might expect, the brand-new Starrett tested the best—it was offby less than .002". The $30 square and the $10 square didn't do quite as well. They were off by about .015". But this is still less than Vet" and is probably fine for woodworking. 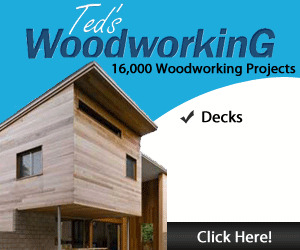 Of course, in the world of woodworking, you probably don't need this kind of accuracy. After all, I rarely work with any dimensions smaller than Vy. But I figure I can use all the help I can get. And I really like knowing that my "square" is still reasonably square after all these years. In addition to this accuracy, a wellmade square has a quality that you can feel. Pick one up and see how wear. Over time, this wear can affect the accuracy of the square. In a home-shop environment, it's unlikely that you'll ever"wear out" a good combination square. But I still like to take a couple of precautions. Since most of the wear occurs from sliding the blade back and forth in the slot, I try to keep dust and grit from working its way in the slot I also wax the blade periodically to help reduce friction. and do my best work as well. a head made of fine-grain cast iron (left). Theheadon the right is a rougher version made of die-cast metal. on the left sits on a raised rib in an accurately machined slot, as opposed to the loose-fitting blade on the right. and finely-etched markings make the lower rule in this photo easier to read than the die-stamped rule above. As the name implies, a combination square is useful for marking (or checking) a square edge, see photo. But I use my combination square as a layout and set-up tool just as much as a squaring tool. AIAYOUT TOOL The fact that the blade on a combination square is adjustable and locks in place makes it an ideal tool for transferring measurements. 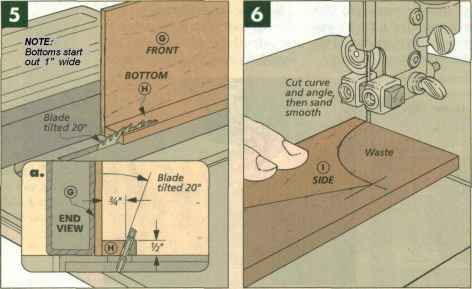 For example, suppose a project calls for a row of six screws located 2" from the edge of a workpiece. Rather than using a rule and measuring six separate times, I simply set my combination square once and lay out all the holes. This way I don't have to worry about measurement error. 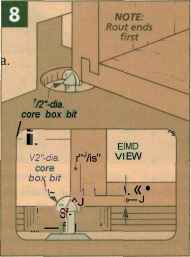 This idea can be used for lots of layout procedures, such as finding the center of a workpiece or drawing a line parallel with the edge of a board, see top two drawings at right. A SET-UP TOOL. In addition to laying out, the combination square is a handy gauge for checking finished workpieces or setting up tools. It can be used for checking the depths of mortises, grooves, or rabbets. And by removing the blade, the head of the square is handy for checking your saw blade on 90° or 45° cuts, see lower drawings at right. Zero in on the center. Draw a line off of one face of a workpiece, then flip the square over and draw an identical line off the other face. Layout tool. To draw a line parallel to the edge of a board, lock down the head and draw a line with the pencil held against the end of the blade. Depth gauge. To check the depth of a mortise or rabbet, loosen the blade and drop it down into the mortise until it bottoms out. Setup gauge. With the blade removed, the head of the combination square makes a handy setup gauge for 90° and 45° blade settings. Some combination square is used to locate the center of manufacturers also make a round stock (dowels). It comes couple of accessories to go in handy when marking out the along with the basic square. 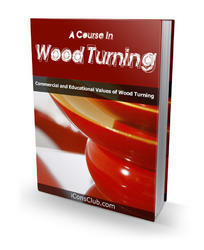 ends of a piece of turning stock. CENTER FINDER. Another acces-have an occasional need for a sory is the center finder, see longer square, all you have to right photo. The center finder purchase is the blade. Protractor head. To lay out any angle, just adjust the protractor head to the desired angle and mark out a line. Center finder. Place a dowel in the V-shaped jaws of the center finder and draw a couple of intersecting lines. How to use combination square? What are the parts of a combination square?